NPR April 15, 2019 11 a.m.
Springtime is often characterized as a new beginning and a chance for a fresh start. This month’s stations picks, the sun casts its rays onto warmer days and the songs we hear from emerging artists feel like that same form of letting loose and letting go. 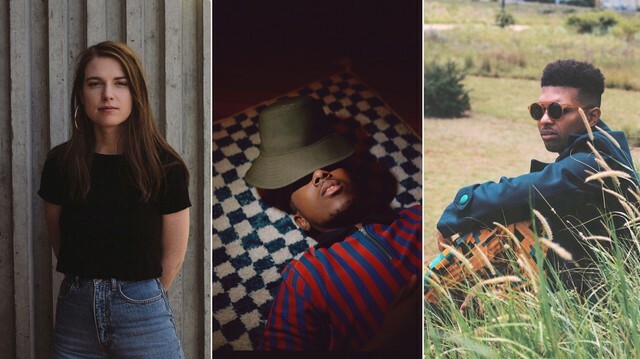 This month on NPR Slingshot‘s Station Breaks, Samm Henshaw takes listeners to Sunday service, the crisp spring air summons Lovers Leap and MorMor searches for the sun. Additionally, hear IAN NOE stray from addiction, a soft-grunge single from Angie McMahon’s debut album and Grupo Fantasma lose themselves in a Latin groove. Enjoy and discover these big songs by soon-to-be-big acts. Stream this month’s Station Breaks on Spotify and Apple Music.